The tendency, when it comes to hiring searches of any kind, is to identify a handful of candidates who have ties to the place that has the job opening and go from there. 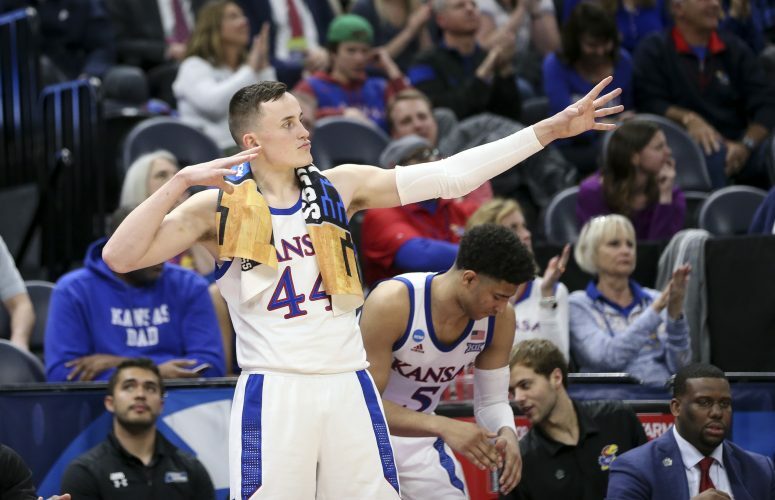 While that makes perfect sense, and while ties to any particular institution, in this case a university like KU, certainly can’t hurt a candidate’s chances, the connection is not something that makes any given candidate a lock to be a finalist or even receive serious interest from those doing the hiring. With that in mind, let’s take a look at a handful of athletic administrator types with ties to KU who might come to mind for some folks as Drue Jennings, Chancellor Doug Girod and the search firm KU has hired to help find their next AD go out into the world to begin their search. Less than 24 hours after the news of Sheahon Zenger’s firing had been made public, I received a handful of phone calls from people trying to rally support for their guy. In each case, their guy had those Kansas ties we talked about above and some were more interesting options than others. Harrity, a Kansas City native who received a journalism degree from KU and also has a Master’s degree in education, worked in both the KU and Minnesota athletic departments before moving to Notre Dame in 2011. Since joining the Fighting Irish athletic department, Harrity has handled a number of roles and duties, most of them designed with the student-athlete experience in mind. According to his Notre Dame bio, Harrity works “closely with the Athletics Advancement team on top priorities, including the Advisory Council for the Student-Athlete, to secure funding for key department strategic initiatives. The Advisory Council for the Student-Athlete is comprised of alumni, family and friends of Notre Dame who invest their time, talent and treasure helping fuel the vision for Athletics while building an endowment for all coaching positions, grants-in-aid and student-athlete services. Harrity serves as Athletics Chair on three of the four Advisory Council committees: Sports Science/Sports Performance, Leadership and Personal Growth, and Career Development. A few people I spoke with said they thought Harrity would consider the KU AD position a dream job and one even called him the perfect fit for the position. Age, Harrity was in school around the same I was and is likely in the 39-41 range, and limited experience could make it difficult for Harrity to crack the list of finalists, but he seems like a name worthy of a spot on the radar. A few years back, I talked with Harrity about one of his crowning achievements outside of a college athletic department, his 2012 book titled “Coaching Wisdom,” in which he solicited the help of 13 college coaches who had won a combined 103 championships — including Lou Holtz and John Wooden — to examine the creation of cultures of sustained excellence. Gurley’s is another name that I received a couple of calls about in the past 24 hours and I even saw Fox Sports anaylst Doug Gottlieb out on Twitter trying to promote Gurley as a decent candidate for the job. There are, without question, qualities that Gurley possesses that would serve him well in an athletic director role, but those qualities do not outweigh Gurley’s lack of administrative experience. Yes, he has worked closely with the Williams Fund for years in a fund-raiser role — in addition to his gig as a color analyst for KU men’s basketball games on the radio with Brian Hanni — but Gurley’s resume pales in comparison to the candidates who likely will be on the search committee’s list, many people who have made it their life’s work to pursue the path of one day winding up in an AD role. I caught up with Gurley about the idea on Tuesday afternoon and he seemed to be in agreement that his limited experience would not make him the best candidate for the job. Mohajir’s name was on our initial list and it’s possible that he might wind up on the committee’s list, as well. After spending 13 months at KU — following a stint on Glen Mason’s football staff in the 1990s — Mohajir has been at ASU for the past six years in addition to his time as a Senior Associate AD at Florida Atlantic from 2004-11, when he oversaw development, ticket sales, corporate sales and the media relations department. 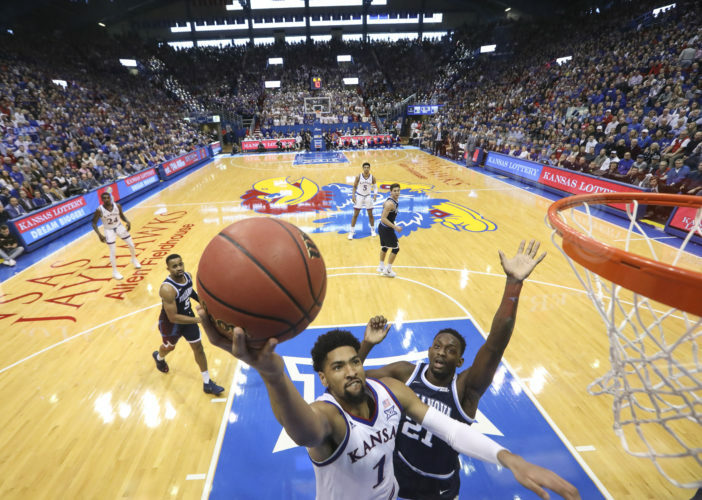 Mohajir’s ties to KU may be somewhat limited, but his work away from Lawrence has put him in a favorable light. While at Kansas, his duties included many of those that he handled elsewhere and expanded to include assisting in the operations for the Williams Educational Fund and directing the efforts of the Marketing and Game-Day Experience staffs. Since landing at Arkansas State, his alma mater, Mohajir has impressed with his ability to upgrade facilities and also worked with elite football coaches, first for one year with Gus Malzahn, who now is at Auburn, and later hiring Bryan Harsin, who now leads the Boise State program. The former face of the Williams Fund who was a standout linebacker at KU during his days as a college athlete, Floodman had long been one of the more polished, popular and liked people in the KU athletic department. However, in 2016, almost to the day, Floodman announced that he as leaving KU to get into the commercial construction business and, from talking to those who know him well, he has just started to flourish in his new role. That does not mean that Floodman would not be interested in talking about the KU AD job. But one person told me that, while Floodman “has AD material written all over him” he might be a better candidate the next time the job comes open, when he has both more experience in the business world and more time to make connections that might serve him well. While heading up the Williams Fund for three years, Floodman played a crucial role in raising the funds to build the relatively new basketball dorm, McCarthy Hall, the DeBruce Center, which houses James Naismith’s original rules of basketball, and a $2 million renovation of the Anderson Family Football Complex next to Memorial Stadium. A familiar name and face around KU throughout the past few decades, Konzem has been involved in intercollegiate athletics for more than 35 years, including four years as the athletic director at Rockhurst University, from 2007-11, and a stint as the interim AD at KU during his days with the Kansas athletic department. Konzem spent 23 years at KU, filling a bunch of difference roles, including Senior Associate AD who supervised men’s and women’s basketball, football, baseball and golf. He also had a stint as the AD at Benedictine College in Atchison and also was the Chief Operating Officer for the Golf Course Superintendents Association of America. By far the biggest athletic department veteran on this list, Konzem’s name would be familiar to boosters and his love of KU is well known. His time away from major college athletics might be too much of a hurdle to overcome for him to merit any serious consideration for the job. He could, however, be a valuable resource for the department after a hire is made or perhaps even during the search. 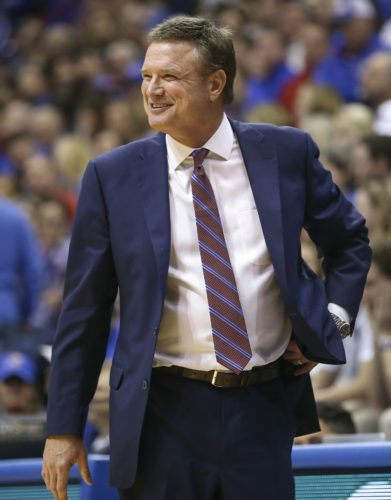 His role in the hiring of Bill Self back in 2003 was significant and he has connections and history with administrators throughout other athletic departments in the Big 12. Another name on the original list, Lester is beginning his second stint as interim AD at KU and his role under both Lew Perkins and Zenger seemed to increase just about every year since he arrived in 2003. Lester, who has played a key role in overseeing men’s basketball, football and baseball, as well as special projects throughout his time at Kansas was promoted to Senior Associate AD in July of 2011 and promoted again to Deputy AD in January 2013. The fact that he now has been twice trusted to handle the transition from one athletic director to the next says something. A blast from my personal past came up this afternoon when Pat Warren’s name was tossed my way. Warren, who served as an Associate AD at KU under Bob Frederick when I was in school in his late 20s and early 30s was the KU official I interviewed for a story I did way back when about KU’s construction of the giant press box and suites that have been a fixture at Memorial Stadium for the past couple of decades now. Anyway, here’s why he’s a name worth watching. Warren is sharp. Like big time sharp. He’s loaded with university and business-world experience and also has a KU law degree on top of his political science degree from KU. In addition to that, he holds a Master of Business Administration with a concentration in marketing and finance from the University of Chicago Booth School of Business. Promoted to Speedway president in March of 2010, Warren seeks to provide strategic leadership across all aspects of the facility’s operations including financial and capital planning, ticket sales, event execution, sponsorship sales, marketing and public relations. He also represents Kansas Speedway within the industry and community, continually elevating the facility’s profile both regionally and nationally. Warren was previously Kansas Speedway’s Vice President and was responsible for developing and executing marketing plans, developing all corporate partnerships, overseeing the development and execution of media relations plans for Kansas Speedway and its events, and community relations. Prior to his time at Kansas Speedway, Warren, an Overland Park native, worked for Embarq, a spin-off company of Sprint-Nextel, where he worked in consumer marketing after leaving KU. Don’t let the current title scare you off. Hinrichs is one of the few people on this list who actually has sat in an AD’s chair. He did so for eight years at Northern Colorado after leaving KU, where he served as an associate AD from 2002-04. Prior to that, Hirnichs was the Vice President of Business Development for two years with the Kansas City Royals and he worked as the Royals’ Assistant GM and Director of Stadium Operations for 15 years prior to that. Hinrichs has been in parks and recreation for the past couple of years and holds degrees from KU in psychology and personnel administration and an MBA in finance.